Casual beer lovers still will argue (over a pint of their favorite hop concoction) on whether a legitimate beer can possibly be enjoyed wrapped in a metal cage, or whether a regal glass bottle is the only way a tasty craft beer ought to be presented. Traditionally, the finer brews would not be found in anything but a proper glass bottle…never in a can. The debate isn’t new but the views seem to have evolved. No longer are the craftiest of beers only found in dressed up bottles. As cans have gained ‘street cred’ the list of breweries making them available has been growing. So, what’s the fuss about you may ask? The debate primarily centers on taste. The impression, for the naysayers, has been that metal cans taint the taste beer packaged in cans. In reality, cans have been lined with plastic composites since the late 1930s and those highly sought after draft beers are almost exclusively served in aluminum vessels don’t forget. Still, whatever the beer is stored in will affect the taste to some degree. Lifting a can to your nose will expose your senses to the scent of the can itself versus the non-fragrant glass bottle (tip: dip your hands in your favorite beer before lifting your pint!). Regardless of the impression, even the most seasoned drinkers have a difficult time distinguishing between a beer served from a bottle versus the same beer served from a can. We’ve tested it ourselves (unscientifically, but enjoyably) at Beerhead Bar & Eatery and it’s a push. Other factors that stimulate the discussion is whether the precious ingredients contained inside these vital carriers are overexposed to the elements in bottles versus cans. Bottles are more permeable to light and air due to the transparency of the glass and the inferior seal of the bottle top as compared to the impervious pop tops. However, even though cans chill quicker than bottles, they also warm quicker since glass retains the temperature of the encased treasures more readily. If the taste factor is basically moot, cans guard off the elements preserving the ingredients better, and the chilling /warming factor is a wash, why aren’t all beer served in cans? Cans are undoubtedly more convenient to ship, serve, carry, (or even hide, when necessary, but we would never promote that practice), stack, and stock. 2.) 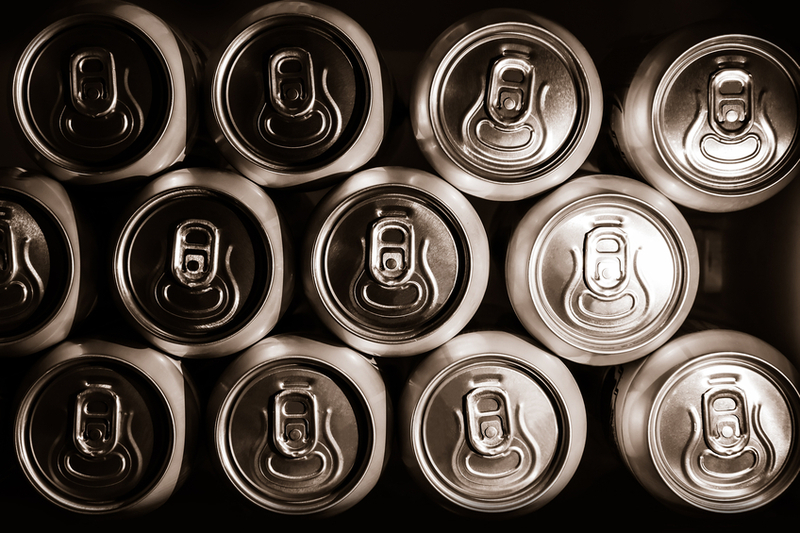 economics – the canning process requires a more significant investment. So maybe it’s the can that gave PBR its panache after all, but for an entirely different reason than many could have thought (or thunk). Get your hands on a Beerhead canned favorite, like Six Point Puff, and we think that you will be convinced that cans are cool.